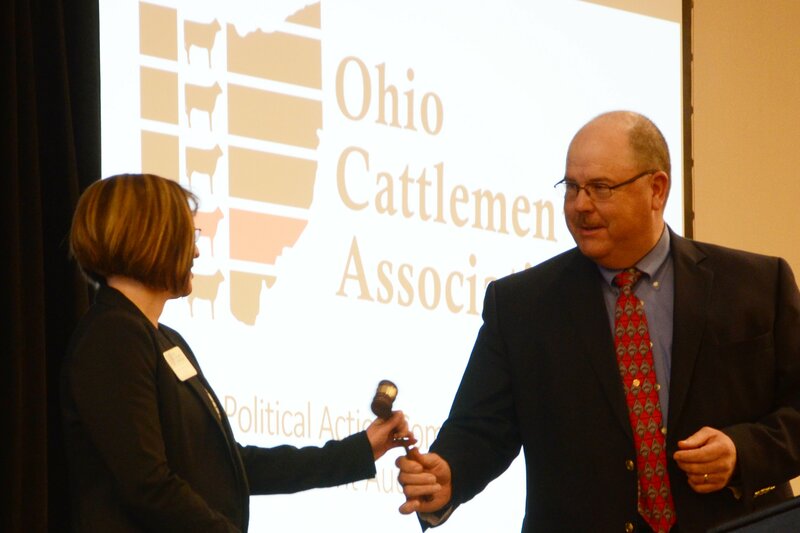 The Ohio Cattlemen’s Association (OCA) will celebrate Ohio’s cattlemen, hear from industry leaders and set new policy for 2019 at the OCA Annual Meeting and Awards Banquet on Saturday, Jan. 12, at the Nationwide Hotel and Conference Center in Lewis Center, Ohio. The day’s events will kick off at 9:00 a.m. with the Cattlemen’s Quiz bowl written test. This youth event, sponsored by Farm Credit Mid-America, is for youth ages 8-21 to showcase their beef industry knowledge. It is a two-part contest, consisting of written and verbal rounds. Shortly after, a Youth Beef Quality Assurance Session will start at 10:00 a.m. There will be three age divisions offered and the top three winners will be recognized as well as the top team in each group. During the Ohio Cattlemen’s Foundation (OCF) luncheon, sponsored by Murphy Tractor, at 11:30 a.m., the 2019 scholarship recipients will be recognized and the OCF business meeting will be conducted. In 2017, the United States was the world’s third largest beef exporter, with global sales of beef and beef products valued at $7.3 billion. The Ohio Pork Council is pleased to announce the launch of their Bacon Vending Machine, located in Ohio State University’s Animal Science Building. In honor of finals season, the machine will supply students with ready-to-eat bacon until Dec. 13. 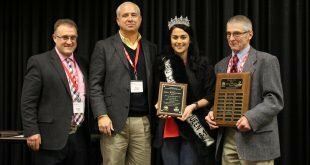 “The Bacon Vending Machine is a unique and fun way for the Ohio Pork Council to support Ohio State students and promote the pork industry at the same time,” said Dave Shoup, Ohio Pork Council president-elect. With proceeds from the machine benefitting the meat science program, Hormel, Sugardale and Smithfield donated shelf-stable bacon strips and bits to fill the machine. For just $1, students can “fuel up” with bacon to power through their last two weeks on campus before Christmas break. Members of the meat science program are responsible for stocking and maintaining the machine during its time on campus. 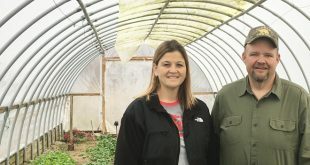 “The meat science program is excited to partner with the Ohio Pork Council through the Bacon Vending Machine project,” said Lyda G.
Just as the change of the season brings about slippery roads and windshields that need scraped before you venture out, the winter months can be the cause of many concerns on Ohio’ hog farms as well. From moisture, to rodents, to bio-security, there is plenty to keep in mind as pig farmers prep barns for livestock. As harvest progresses, albeit slowly across the state, those finished corn and soybean fields force some unwelcome guests to look for shelter in those warmed barns. North Carolina’s Smithfield lawsuits: Could Ohio’s farmers face similar results? 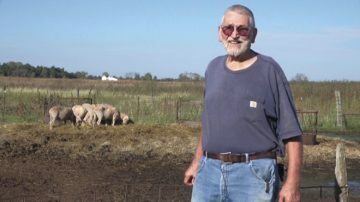 Many states, including both Ohio and North Carolina, have “right-to-farm” legislation, which in part is meant to protect agriculture from nuisance lawsuits such as those filed against Smithfield. For the 2018 Charles Boyles Master Shepherd of the Year, Dave Burkhart of Hardin County, sheep have been a part of the family, in one way or another, for as long as he can remember. As it turned out, Dave’s father was pretty good at his craft as he was named the International Sheep Shearing Champion in 1939, 1947 and 1948. But Burkhart knew he wanted to be more involved with livestock than his father. That number has been pared down in recent years and now Burkhart’s farm consists of a small group of Dorset white face cross ewes, along with some Suffolk-Hampshire cross ewes. Cooper Farms is set to release a video series on hog farming and environmental care on their social media platforms and YouTube. As Cooper Farms continues to grow and builds relationships in new areas, the videos will serve as a way for the company to introduce themselves, explain what they do and the opportunities they offer to be contract growers. “We’re growing. We’re always getting new neighbors and we want to be clear to those people, and with those who already know us, about what it is we do,” said Terry Wehrkamp, Director of Live Production. Cooper Farms partners with local family farms to raise animals. These videos will show the procedures the company follows to have the least possible impact on the environment, and especially, the neighboring communities. Cooper Farms uses a very intricate process when it comes to choosing not only their sites for new barns, but the type of quality leaders necessary to run them. 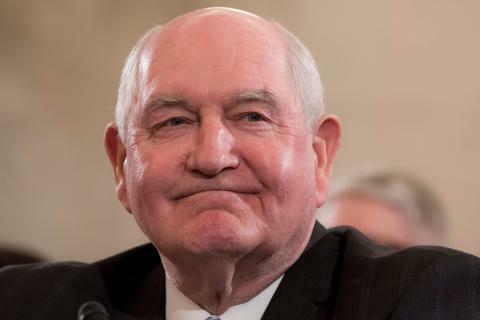 At the G-20 summit in Buenos Aires, Argentina, the U.S.-Mexico-Canada Agreement (USMCA) was signed and the White House announced that the U.S. and China will enter negotiations on several key trade issues, including agricultural trade. Sheep nutrition, research updates, and even pasture fencing with satellites were among the highlights that greeted sheep producers and supporters at the 2018 Buckeye Shepherd’s Symposium in Wooster on Saturday. Programming designed specifically for youth was also presented for the first time at the Symposium. 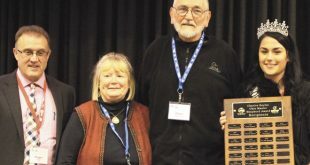 In addition to educational talks, the event serves as a time each year to recognize Ohio sheep leaders with various awards. Katie Frost of Fayette County with the Dr. The Ohio Cattlemen’s Association (OCA) held their sixth annual Replacement Female Sale on Nov. 23 at the Muskingum Livestock Auction Company in Zanesville. A large crowd was on hand to bid on 107 high quality females in the sale. The sale represented an excellent opportunity for cow-calf producers to add quality females with documented breeding and health records to their herds. Buyers evaluated 107 lots of bred heifers, bred cows, and cow-calf pairs at the auction. The sale included 80 lots of bred heifers that averaged $1,437, 25 lots of bred cows that averaged $1,377, and two cow-calf pairs that averaged $1,450. The 107 total lots grossed $152,275 for an overall average of $1,423. 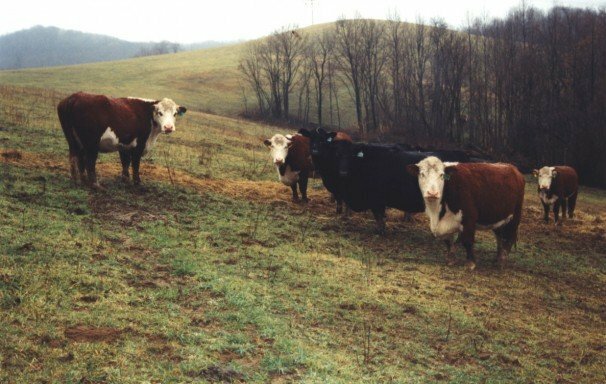 The females sold to buyers from Ohio, Pennsylvania, and West Virginia. Col. Ron Kreis served as the auctioneer. Erv-N-Del Farm of Louisville, Ohio consigned the top selling lot at $2,200. With our son off to college, wife Maria has been my deer hunting buddy this season. She is a somewhat reluctant hunter who I tempt into the blind with all manner of hunting baubles like portable ozone dispensers, heated booties, laser range-finders, Red Dot scopes, trail cameras, lighted arrow nocks and camo touch screen gloves so that she can while away the hours between deer sightings playing Candy Crush. Let’s just say she responds to technology and I’m playing every card in the deck to maintain her interest. Maria shares word of her weekend adventures in the wilds with her urban co-workers at the metropolitan library, who find it odd that their fashion-conscious co-worker is spending so much time camo’d-up in the deep woods. 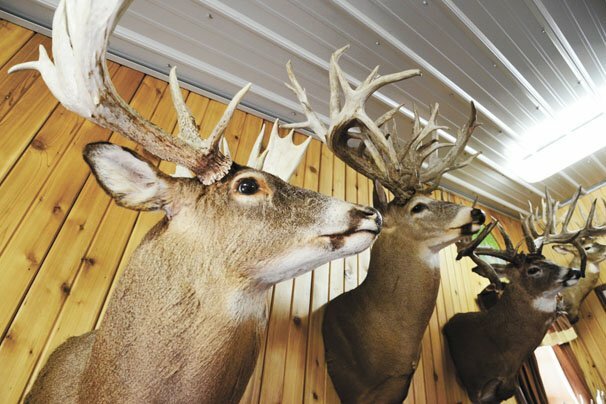 Speaking of whitetail hunting, from Dec.
Now, he’s a full time beef and vegetable producer in Morgan County. When he was growing up, Hinkle’s parents owned a grocery store, so he has always worked with food and he wanted to make sure his family also learned those lessons. Dates have been set for the 2019 edition of BEEF 509. The BEEF 509 program is held to raise the awareness level about the beef that is produced and what goes into producing a high-quality and consistent product. The program will take place on two consecutive Saturdays, February 16 and 23, 2019. The part of the program held on February 16 will include a live animal evaluation session and grid pricing discussion. Carcass grading and fabrication are among the activities that will take place February 23. The program will take place at The Ohio State University Animal Sciences building in Columbus. It will be critical to attend both sessions as participants will be assigned to teams that will work together throughout the program. 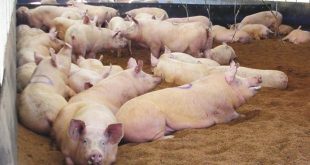 African Swine Fever is in the midst of causing global trouble and all signs point to it likely heading to the United States soon. The hog industry is keeping a close eye on the disease’s next move. 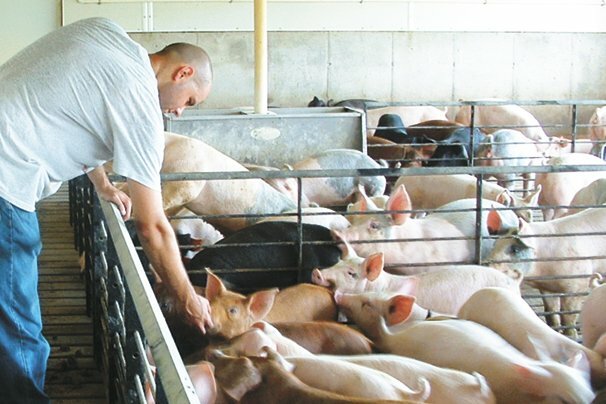 Though AFS does not affect humans, it poses considerable risk to the wellbeing of the swine industry with all hogs contracting the disease requiring termination. 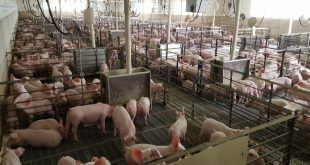 “When it comes to global issues right now, that is something that could be very devastating in the pork industry in the United States. 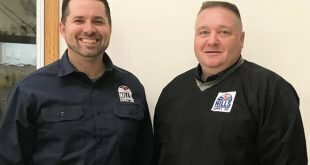 Hills Supply, the well-known dairy supply company founded in 1979 has new owners. Partners Frank Burkett and Mick Heiby completed their purchase of the company on Nov. 1, 2018 and immediately announced the purchase to the Hills employees and more than 850 customers. Frank Burkett is a fourth-generation dairyman and the managing partner of Clardale Farms in Stark County, Ohio where they currently milk 695 head of Holstein cattle, raise replacements, and manage 900 acres of land for crop production. 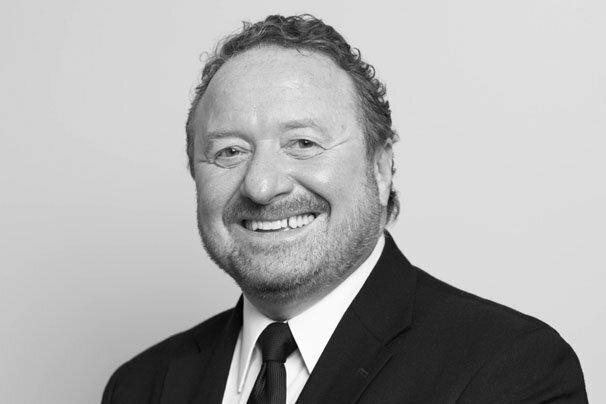 He has served as chairman of the Hills Supply transition team since the tragic death of David Hill, and his wife, Shin in December of 2016. Burkett is also the current president of the Ohio Farm Bureau Federation. “We see ourselves and our company as partners in production with our customers. Our experience in the industry gives us the unique understanding of the dairy business necessary to best serve dairy producers,” Burkett said. Late last week, the Ashland Source reported a tragedy north of Loudonville when a 22-year-old farm worker drowned after the skid steer he was driving went into a manure holding pit on a dairy farm. 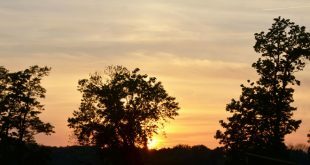 The unfortunate incident in northeast Ohio serves as another grim reminder of the safety challenges in agriculture. “Working around manure storage areas has so many potential hazards. There is a lot of emphasis on being aware of hazards involving manure gases, but you still have to be aware of equipment hazards and the dangers of operating equipment close to manure pits and lagoons,” said Kent McGuire, Ohio State University College of Food, Agricultural, and Environmental Sciences Safety and Health Coordinator. “Because of limited visibility and the density of manure in pits or lagoons, the chances of a rescue are usually very small. Unfortunately, it almost always ends up being a recovery of the victim. The Ohio Cattlemen’s Association (OCA) is pleased to announce the 2018-19 BEST (Beef Exhibitor Show Total) program sponsoring partners that include Bob Evans Farms; Farm Credit Mid-America; Frazier Farms; Garwood Cattle Company, LLC; Kalmbach Feeds – Formula of Champions; M.H. Eby, Inc.; John Deere, JD Equipment and Weaver Leather Livestock. BEST is a youth program of OCA that recognizes Ohio’s junior beef exhibitors for participation and placings through a series of sanctioned cattle shows that include showmanship competitions. Juniors who participate in these sanctioned shows earn points for their placings. 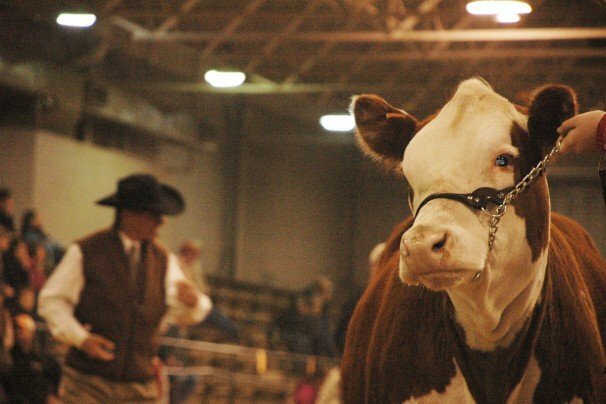 Points are tabulated for cattle, showmanship, registered Bred & Owned animals and first or second year BEST participants in a separate Novice division for market animals, heifers and showmanship. The program promotes consistency for exhibitors at sanctioned shows hosted by county associations or agricultural groups and clubs. These points are tabulated and posted at www.ohiocattle.org. ALL cattle entering Ohio to show in a BEST sanctioned show MUST be tagged with an electronic identification (EID) ear tag prior to arriving at their first BEST show. Every year, we hear fascinating legal updates at the American Agricultural Law Association’s annual conference. Thanks to presentations by Todd Janzen and Brianna Schroeder of Janzen Ag Law in Indianapolis, we were inspired to learn a little more about trends in meat law. 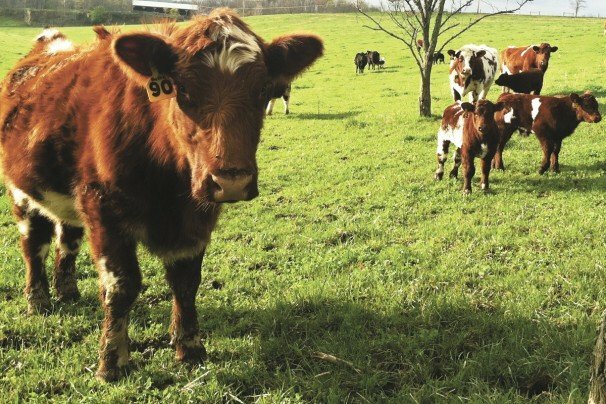 For readers with a livestock operation, these legal issues can present great challenges, and keeping up to date on legal trends helps farmers stay prepared. 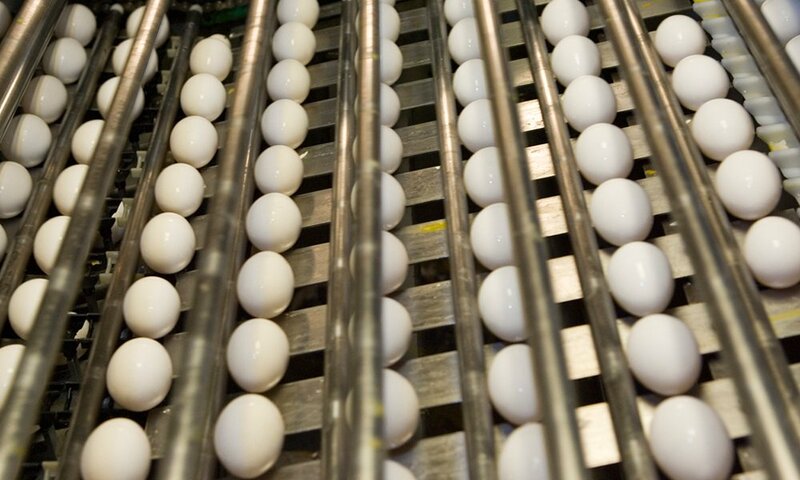 California voters passed Proposition 12 in the November 2018 election, which will require producers to comply with minimum confinement space regulations in order to sell certain products in California. The Prevent Cruelty California Coalition placed the proposition on the ballot, expanding a previous regulation on in-state suppliers, but the new law would apply to any producer trying to sell veal, pork, or eggs in California. 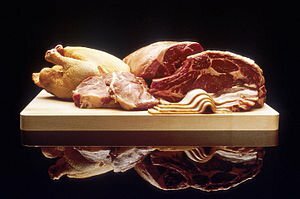 The National Pork Board, the U.S. Meat Export Federation (USMEF) and the U.S. Department of Agriculture (USDA) announced that they will engage in a foresight-based marketing study called Pork 2040. The study will investigate changing consumer attitudes and trends in developed and emerging U.S. pork export markets in 17 defined countries. Staying a step ahead in the cattle industry is no small challenge. Cattlemen and women looking to find that extra step will be attending the 2019 Cattlemen’s College in New Orleans, La., Jan. 29-30. More than a thousand producers are expected to attend the event, sponsored by Zoetis and produced by the National Cattlemen’s Beef Association. It is being presented in conjunction with the 2019 Cattle Industry Convention and NCBA Trade Show. A highlight of the event will be a Jan. 29 afternoon session that features Dr. Temple Grandin conducting a cattle handling and facility design presentation. A reception will follow that afternoon, with a full slate of concurrent educational sessions to follow the morning of Jan. 30. Keynote speaker at the Cattlemen’s College Opening General Session Jan. 30 will be Bill Cordingley, managing director and head of the Chicago office of RaboBank Wholesale Banking North America. 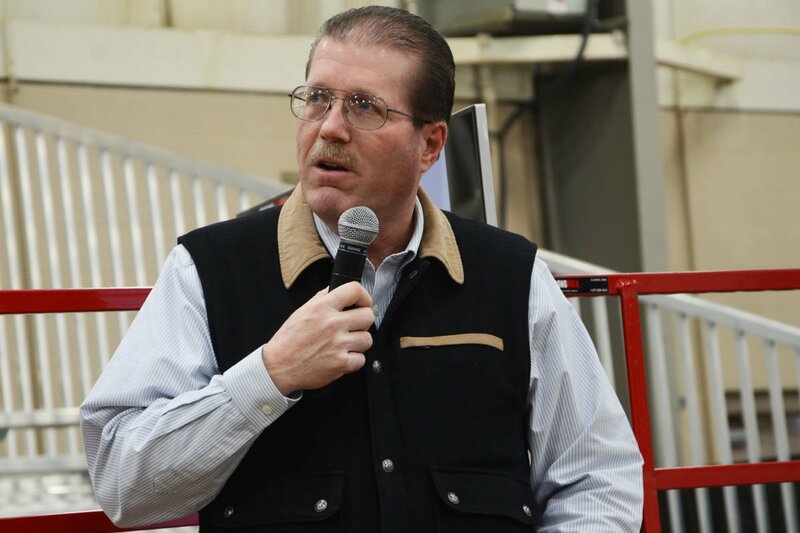 He will speak on “Greater Expectations, Bigger Opportunities,” touching on the different forces that work together to yield a complex demand story for beef.